0	0	Fasting and Feasting	In Stock - Order before 2pm for same day dispatchWant it on Wednesday 24 April? Food plays a huge part in our church lives, whether it's through the breaking of bread or a bring-and-share meal. But it can be a little-considered subject, despite the Bible and Christian history having much to say about it. 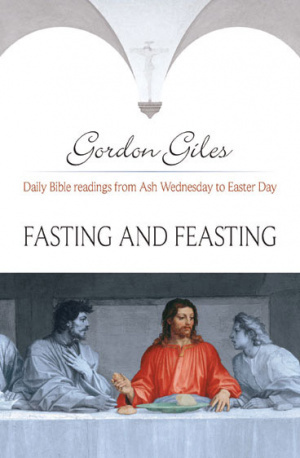 BRF's Lent book for 2009, Fasting and Feasting sees Gordon Giles guide us through daily Bible readings for the Easter season around the theme of eating and food. It examines the importance of the Eucharist and its roots in the Jewish Passover, as well as containing thorough group material and suggestions for an 'Agape' (fellowship) meal. Fasting and Feasting is ideal for dedicated followers of BRF's popular Bible readings and reflections for Lent. It's suitable for groups, with emphasis on sharing meals and fellowship. Those who have enjoyed Gordon Giles's writings in New Daylight, Quiet Spaces and his other books will enjoy this latest offering. Gordon Giles is a vicar in Enfield, north-west London. He was previously based at St Paul's Cathedral, where his work included musical and liturgical responsibilities. He has also written O Come, Emmanuel, The Music of Praise and The Harmony of Heaven for BRF, and contributes to New Daylight Bible reading notes and Quiet Spaces journal. Fasting and Feasting by Gordon Giles was published by Bible Reading Fellowship in November 2008 and is our 34342nd best seller. The ISBN for Fasting and Feasting is 9781841015699. This book is a good Lenten study guide and offers an unusual approach to daily study during this period. It takes the reader through from Shrove Tuesday to Easter Day in a series of wide ranging Bible readings centred on food, when normally in Lent we would think of giving up certain foods. Each day has a section from the Bible followed by a comment and prayer. The readings and prayer offer a challenge to our traditional way of thinking in terms of the way we share our resources with our immediate neighbours and further out into the world. Got a question? No problem! Just click here to ask us about Fasting and Feasting.